This week the twins turned….13!! I can’t believe it! I am the mother of TEENAGERS!?! And when did their father get SO old?? Yikes! It seems just like yesterday that we were bringing them home from the hospital. Sigh. Anyway, the point of all this is that yesterday while preparing for their party I pulled out the Happy Birthday banner I made last year. This was my very first multi-layered Cricut project!! 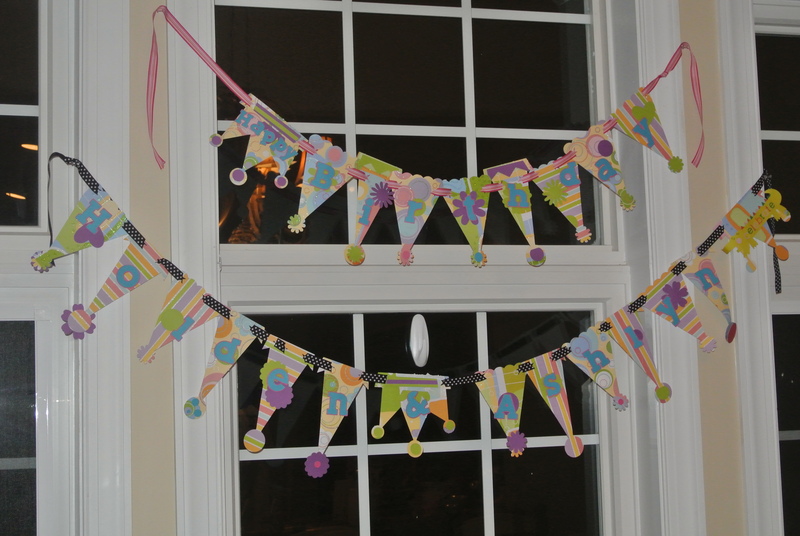 Before this banner all I had ever used my Cricut for was simple little cuts. I think this was the first time I ever used Pop Dots too. And now I can’t imagine a project without them. So to celebrate I am posting my banner here. Cool! I don’t know if I’m more impressed with the banner that you made (I still haven’t made one!) OR the fact that it must’ve been stored very, very well since you were able to pull it out & use it again…showoff!